Home > Blog > How Can You Protect Yourself from a Drug Injury? 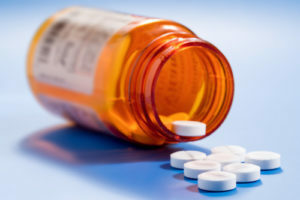 At Rainwater, Holt & Sexton, our Arkansas drug injury lawyers know that a significant number of recalled medications are still on the market, while hundreds more are the subject of serious warnings issued by the U.S. Food and Drug Administration (FDA) regarding severe side effects and complications. Ask your pharmacist about the drug. Pharmacists are more likely to know recent news and information concerning medications. Always ask your pharmacist if the medication you were prescribed is safe, and be sure to mention any other medications or supplements you’re taking. Check to see if the drug was recalled. You don’t have to rely solely on others to check the safety and status of the medication you were prescribed. The FDA’s website contains a database of recalled medications—many of which have a “reasonable probability” of causing adverse health consequences or death. Information about dangerous drugs is also included here. If you or someone you love were hurt by a prescription medication, don’t wait to get help. Our legal team knows how to protect innocent victims like you, and we’re ready to fight for your rights. Call today for a free consultation.